Ginger Rogers escapes from a reform school and ends up in a school for pickpockets run by Basil Rathbone. She steals a tie pin from a diplomat who then engages her to go a diplomatic abll and steal a watch for him. However she falls for the owner of the watch Jean-Pierre Aumont who is married and having an affair. 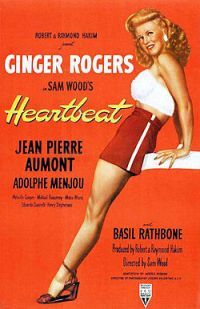 There is no real plot as such, but Ginger Rogers manages to combine innocence with a fiesty independence and gives a performance that is well worth watching..